These pretzels, you guys, are simply dreamy. Buttery, salty and oh so fluffy. I couldn't have been happier with the result. Plus I crossed something off of my foodie bucket list! Go me. As mentioned previously, I've always been obsessed with those "mall' pretzels, but these are so much better! They took a little bit of time, but are surprisingly easy to make. I adapted the recipe just a bit so it's a little more accurate with the amount of flour you'll need, etc. I also made an "everything" variety with instructions on how to do so below. SO many possibilities you guys. But in the end I have to say, the plain, buttery, salted pretzels FRESH out of the oven are my absolute favorite. It doesn't get any better. Seriously though. 1. 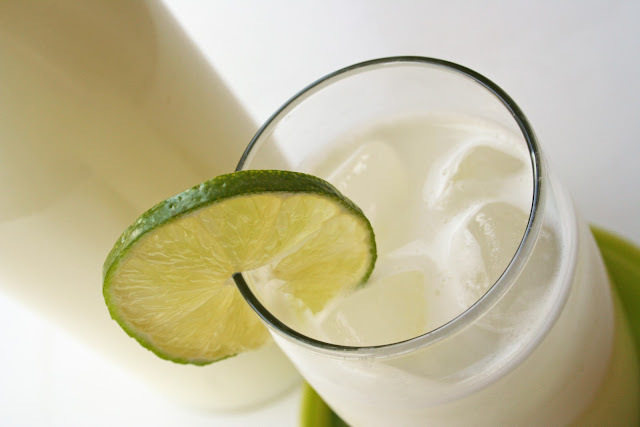 In a small bowl, dissolve yeast and 1 tsp. 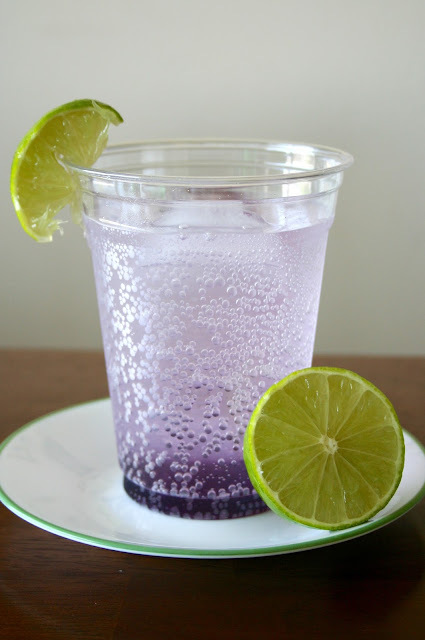 sugar in warm water. Let stand until creamy, about 10 minutes. 3. Lightly oil a large bowl, place the dough in the bowl and turn to coat with oil. Cover with plastic wrap and let rise in a warm place until doubled in size, about 1 hour. 4. Preheat oven to 450 degrees F. In a medium bowl, dissolve baking soda in hot water. 5. When risen, cut dough in half and place one half onto a lightly floured surface. Roll into a 14x11-inch rectangle. Cut 6 equal 11-inch long strips and roll each strip into a rope. Then, twist into a pretzel shape. Once all of the dough is shaped, dip each pretzel into baking soda solution and place onto a greased baking sheet. Sprinkle with kosher or sea salt. 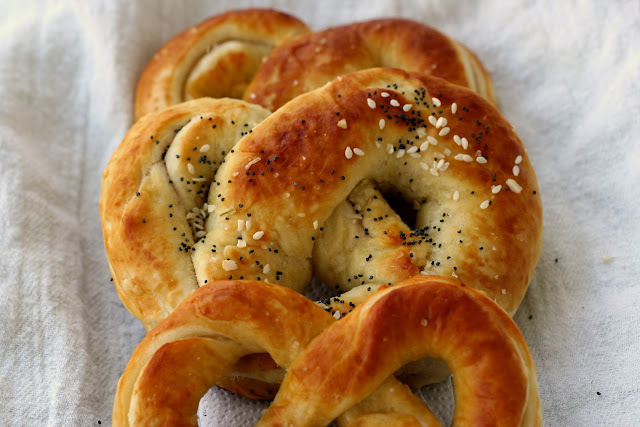 (The baking soda gives pretzels the shiny, brown skin you’re used to seeing.) Repeat these steps with other half of dough. 6. Bake in preheated oven for 8 minutes, until browned. 7. Dip each pretzel into melted butter and top with more salt if desired. 1. Follows steps 1 through 4 listed above. 2. When dough has risen, cut dough in half and place one half onto a lightly floured surface. Roll into a 14x11-inch rectangle. 3. Sprinkle 2 Tbsp. mozzarella cheese across the middle of the dough. Fold the bottom third of the dough over the cheese, then sprinkle another 2 Tbsp. cheese over the folded part. Fold the top third of the dough over the cheese. Reroll into a 14x11-inch rectangle and cut into 6 equal strips. Roll each strip into a rope and twist into a pretzel. 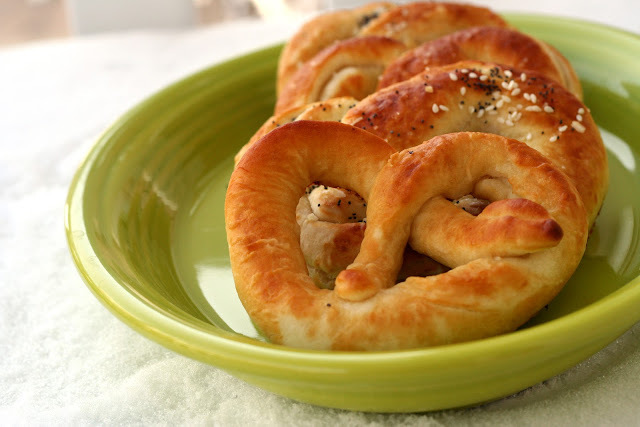 Dip each pretzel into the baking soda solution and place on a greased baking sheet. Sprinkle with kosher or sea salt. 4. Bake in preheated oven for 8 minutes, until browned. 5. 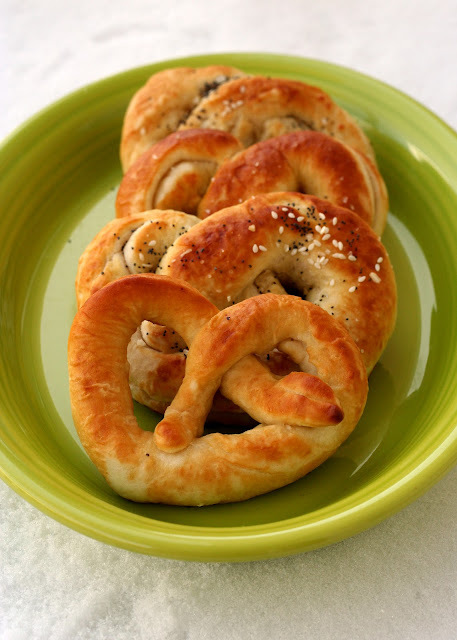 Dip each pretzel into melted butter and sprinkle poppy seeds, onion flakes and sesame seeds on top. 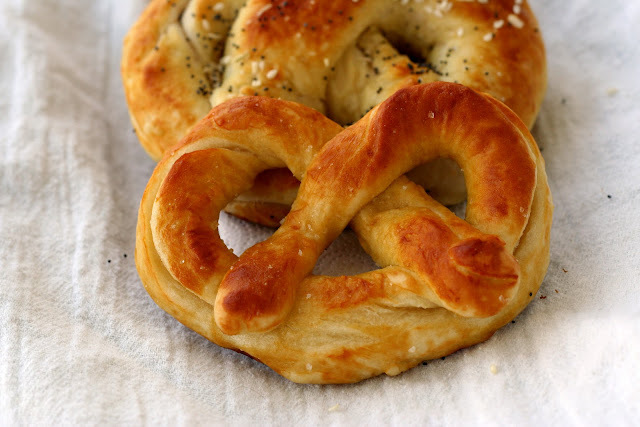 homemade pretzels are the best!